No need to compare the records of Donald Trump and John Lewis here, except to say that Lewis is to bravery what Trump is to cowardice. It brings to mind the selflessness and courage of those protesters and freedom riders and fighters for freedom and justice, among whom John Lewis stands tall, many of whom I proudly number among my friends and comrades. On February 1, 1960 four black college students sat down at the lunch counter at Woolworth’s in Greensboro, North Carolina. They were refused service because they were “Negroes.” When asked to leave, they remained in their seats. Their heroic refusal fired a movement against Jim Crow and legal segregation. That winter I was in the 10th grade at Fairfax High School in Los Angeles. 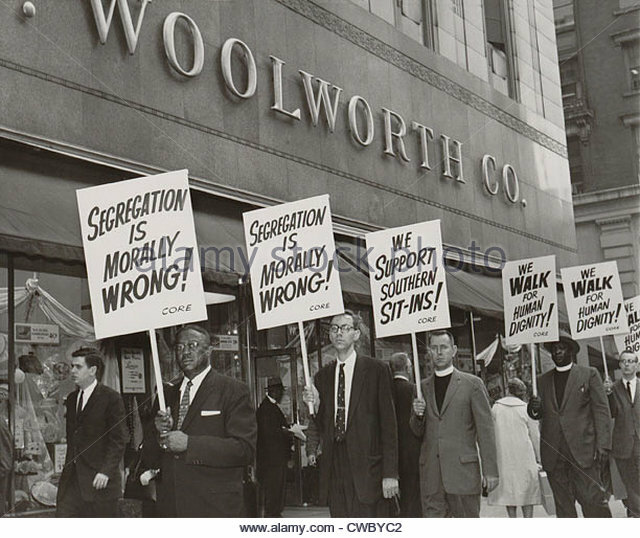 My friend Lionel asked me if I wanted to go with him to picket at the Woolworth’s in downtown Los Angeles with a bunch of students from Los Angeles City College. Lionel’s father was a communist, a lawyer, an engaged progressive in the stultifying ‘50s. My father drove a cab. He grew up on Chicago’s South Side and was one of the most racist individuals I have ever known. When I challenged his racism, he would recall the “race riots” of 1919, when he was a teenager. 38 people were killed and over 500 injured after a black youth drowned upon being stoned by white teenagers for swimming on a segregated beach. The murder was followed by five days of violence and lynchings. “If you go,” my father shouted, shaking his finger at me, “you will be a marked man. Marked for life. They’re all communists,” he said, as if the argument ended there. It didn’t. I didn’t care. It was my first political action, but not my last. It was the beginning of an era of protest and political action that shook the status quo to its core. For the first time in my life I felt that I could actually do something meaningful, that I could make a difference, and it is a feeling I have never forgotten. It is agonizing to see everything we thought we had accomplished during those years of upheaval and change being Trumped and reversed, as if history had given Bull Connor the last laugh. We can’t allow that to happen. We cannot stand by while history is rolled back. We can’t pretend that things have irreversibly changed for the good. They have already been reversed. Trump’s presidency, before it has even begun, is a vivid demonstration of what happens when the forces of extreme reaction seize control. They will do everything in their power — legal and illegal — to wipe out all gains made toward social and economic equality over the last sixty years regardless of the cost in human lives. They can only be stopped by the determined resistance of the majority of people who believe in facts, in science, in progress, in peace, in liberty and justice for all. Little did I expect that my political life would end where it began. It’s time once again to bend our shoulders to the wheel.